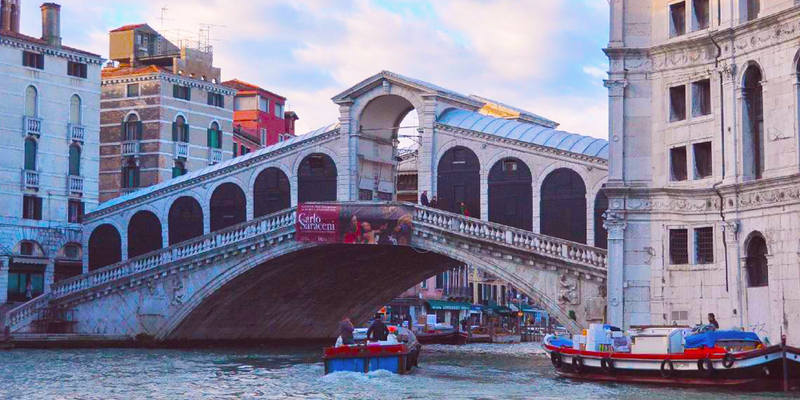 One of the oldest bridges in Venice is the Rialto Bridge. Initially built of wood to connect the Sestiere di San Marco to that of San Polo, crossing the Grand Canal, subsequently rebuilt in stone, becoming the commercial center of Venice thanks to the shops and the adjacent market. This area is very busy, but a must see. Beautiful panoramic view of the Grand Canal. 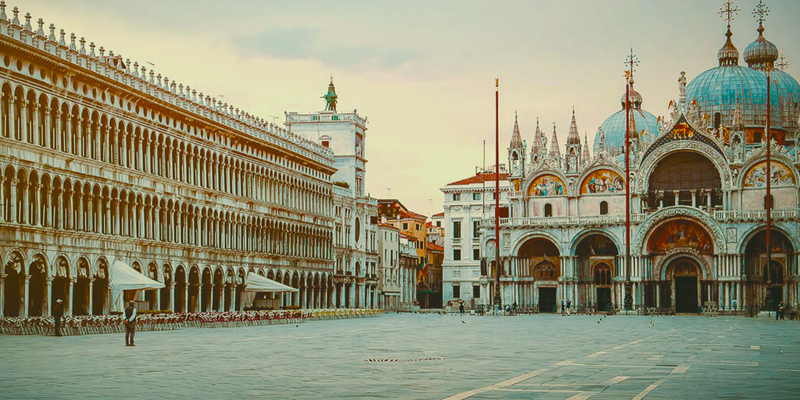 In Venice, the most extensive areas, free of buildings, are known as "campi", the only denuded area Piazza is Piazza San Marco, the city's living room. The square is in the Sestiere of San Marco and contains many important monuments: the Basilica of San Marco with its bell tower, the Palazzo Ducale, the Procuratie Nuove and Vecchie united by the Napoleonic Wing containing various Museums, the Palazzo della Zecca, the Ponte dei Sospiri, La Torre dell'Orologio, La Piazzetta dei Leoncini. All wonderful and unique places. The Island of Murano is located in the Venice Lagoon in front of the Fondamenta Nuova over the Island of San Michele. It is famous for its furnaces in which blown glass objects, which are sent all over the world, are produced by its master glassblowers. Murano is very small, it turns in a few hours. It is very nice to see how the glass masters blow glass and get to know its history by visiting the Murano Glass Museum. The churches of the Island are also very beautiful: the Basilica of Saints Mary and Donatus, the Church of Santa Maria degli Angeli and the Church of San Pietro Martire. 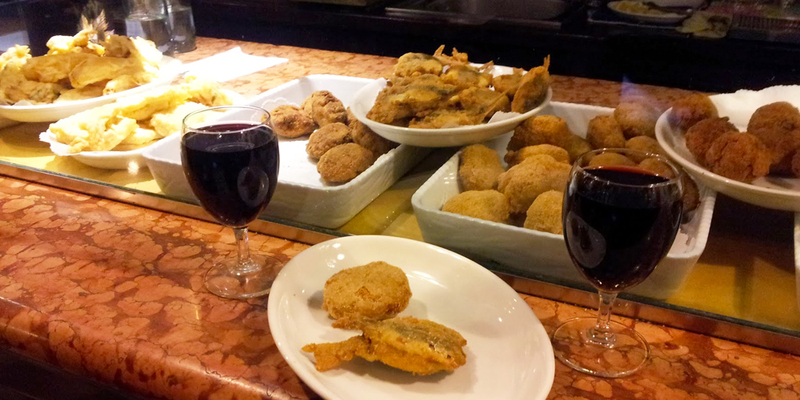 The Bacaro is an osteria where the Ombra de Vin, a glass of wine, is accompanied by appetizers called "cicchetti". Many can be found in the various districts. They are rustic, welcoming, they are real meeting places in which to spend carefree moments immersed in the typical Venetian atmosphere, these places are in fact frequented by the inhabitants of the city, both young and old. You can make real tours of the Bacari to discover these typical taverns. The best thing to do in Venice, after visiting the most significant monuments, is definitely throw away the city plan and wander aimlessly. Venice is a very small city, there is no danger and it is easy to find the way. There are no buses, no cars, no skyscrapers, no high-rises. Not only is the landscape different, but so are the sounds. If you go to "nose" you can discover wonderful corners, the more you get away from the crowded destinations the more you can enjoy the city. It will be an experience without equal. In Rialto there were the first settlements of the city of Venice, this because, in that part of the Grand Canal, the water was deeper and it was possible to arrive with ships loaded with goods. Rialto became the fulcrum of the local economy and the need arose to connect the two sides to facilitate transport. The Ponte della Moneta was built first and then the current Ponte di Rialto. Even now there is the Pescaria with the typical fresh fish stalls and the Erbarìa where you can buy seasonal fruit and vegetables and where you can taste ancient Venetian flavors accompanied by the classic Spritz. La Fenice Theater is the main opera house in Venice and one of the largest in Italy. Located in the Sestiere of San Marco, Campo San Fantin is one of the most evocative places in the historic center. Being able to attend a show is certainly desirable, but if it is not possible you can visit it in an hour of tour discovering the history, architecture, stuccos and gold of the prestigious rooms, the Foyer, the Great Hall, the Royal Box and the Apollonian Halls. The La Fenice Theatre is just one of many wonderful theatres in Venice. The first thing that is observed, when we arrive in Venice, is this streamlined boat with a strange bow iron, which swings in the silent and elegant canals. Even the gondolier hits with his classic uniform and with the mastery with which he drives his gondola. Venice as well as calli and campielli has other streets to visit, these streets are the canals. 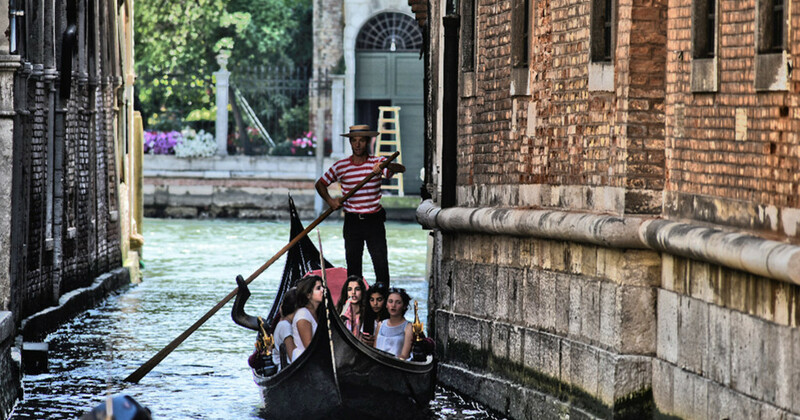 A gondola ride, unpublished and fascinating, allows you to see this other side of Venice, even more romantic if you are accompanied by traditional melodies. The Island of Burano is located in the northern part of the Venetian Lagoon along with Mazzorbo and Torcello. Its colored houses certainly create a breathtaking atmosphere, look for the Casa di Bepi Suà is the most colorful of all. The island is famous for its typical Tombolo Lace, a centuries-old tradition, for the sweet bossolà buranelli. To visit the Lace Museum and the large Paleo-Christian churches of Santa Maria Assunta and Santa Fosca. To complete the day it is worth visiting the Torcello Island, a small island that seems immersed in the late Roman Empire. 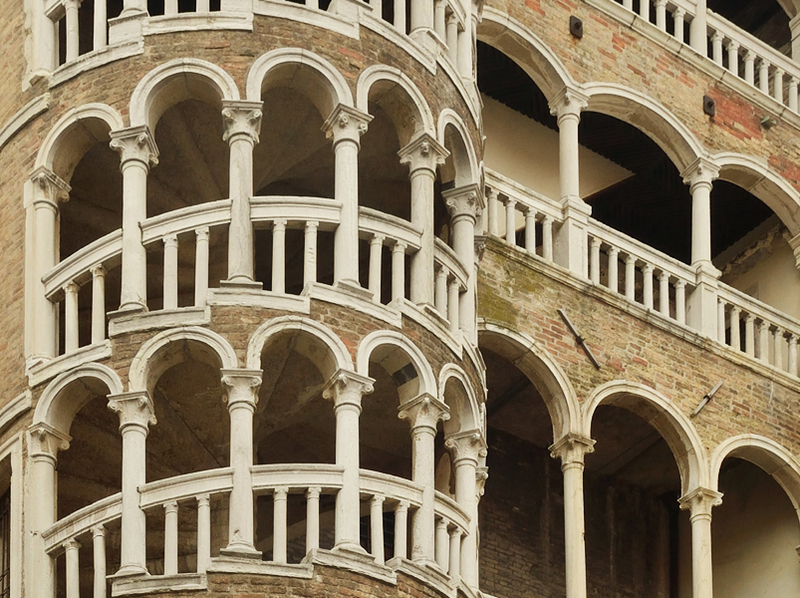 Find on your way the Ponte del Diavolo, the Marble Throne of the Bishop of Torcello, the Palazzo del Consiglio and the Archive and the Torcello Museum.